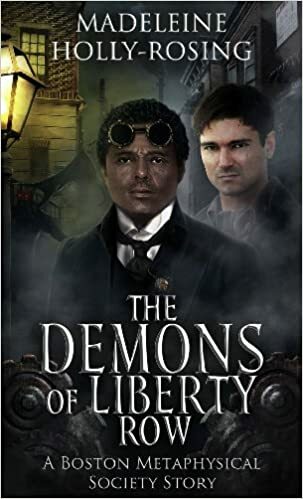 Demon hunter/detective Samuel Hunter and his medium/spirit photographer Andrew O'Sullivan find themselves in need of better weapons so they request the help of inventor Granville Woods. Unfortunately, Granville has been burned before and requires help getting rid of the demon from his neighborhood before he will consider helping them. I really enjoyed this story and it's sort of steampunk, American history, paranormal setting. It was highly reflective of the attitudes towards the Irish and African-Americans at the time. The steampunk technology is also an interesting way of dealing with spirits and demons. The characters were interesting and it was easy to empathize with them. Really my only problem with this book is that I paid $1.99 for a short story (69 pages). It was a good story, but I'm used to paying $1.99 for books over 100 pages. I do encourage you to get this ebook for yourself, but maybe wait until there's a sale.